The Strafford offers simplicity when you want it— say, when a quick walk from bedroom to coffee and keys is an early morning necessity. When more is better—when friends are visiting or you’re hosting a family holiday—this home offers ample space for children and guests. 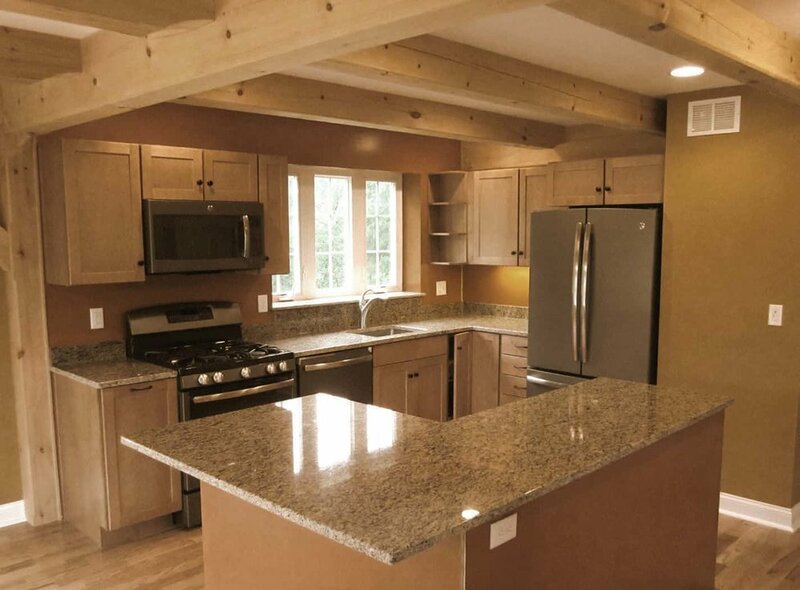 The kitchen, dining area, and living room form one large space where family members can be together while pursuing their own interests, like food prep, school work, games, or reading. These rooms together also provide more than 500 square feet of entertainment space for those special occasions. The optional farmer’s porch only adds to the sociability of The Strafford, making a chat with a passing neighbor or a summer get-together that much easier. The upstairs bedrooms are spacious and private, separated by a large bath and gazing outside from opposite ends of the home. Ample bedrooms open into a large common area in this spacious home. 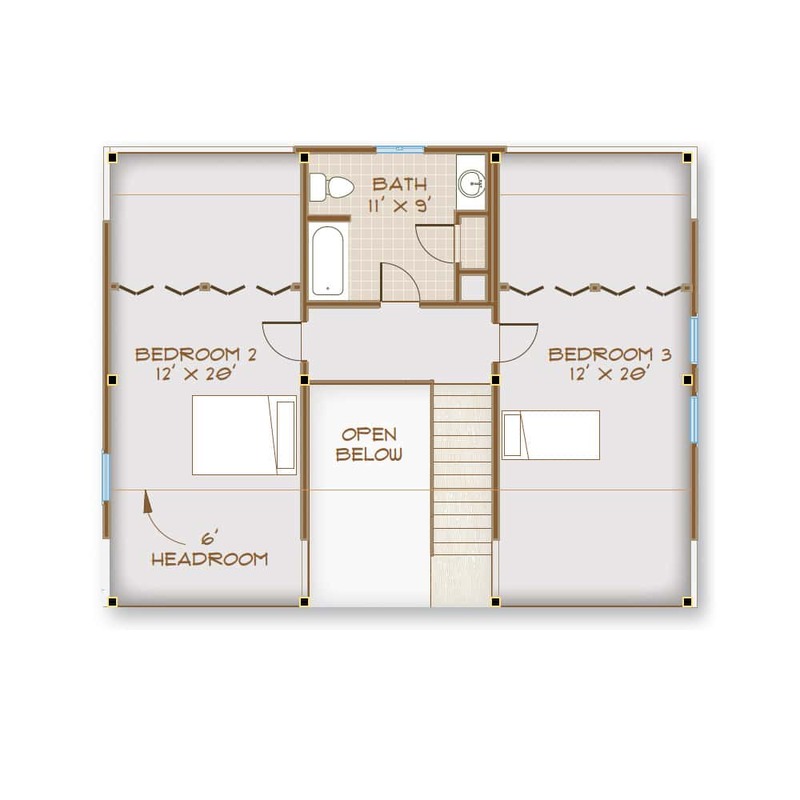 Running from the front of this home to the back, the master suite is large, light, and convenient. Configure your closets as you like; enjoy room for two in the master bath on those busy mornings. Whether your style is sturdy Adirondack or genteel wicker, the optional farmer’s porch begs for comfortable furniture to expand your living space. Adding to The Strafford’s profile and porch space is an optional mudroom, where keys, book bags, and wet boots can be stowed. Is that mud Ginger got into? This is a great place to clean her up before she barrels into the living room to bark “hello” to everyone. Here, too, can be the perfect exit to the backyard and gardens. Find ease and warmth in The Strafford, a classic cape-style farmhouse with the open feel of modern timber frame architecture.